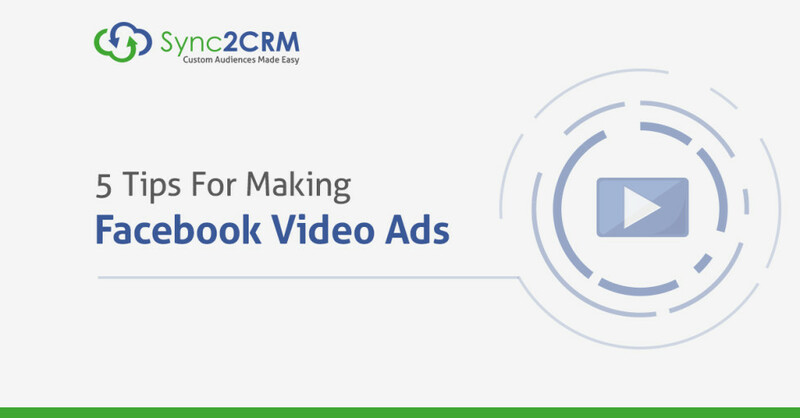 Facebook video ads are amazing, because they can get you great exposure and clicks back to your website at a very low cost per click. At the same time, it’s a pretty unique (and sometimes obscure) ad format…and there are a couple of things to consider when putting them together. Read on to find out how you can make THE MOST out of your Facebook Video Ads, without wasting your time or money. Let’s start with a big one! You need to do something to get people’s attention…and get them to turn on their speakers. If you scroll down your Facebook’s news feed, you will see that even though video ads will start to play automatically when they come into view, they start to play muted. So what you want to do immediately is to grab the viewer’s attention and get them to turn on the volume. One way easy and very effective way to do it is to put a red flashing bar at the bottom of the video that says “TURN UP YOUR SPEAKERS”. You want to do something like that to grab people’s attention. The flashing red bar is just one way to do it. Some people wave their arms or use scrolling text. Like all things marketing and Facebook ads you will want to test what works for you and your audience. Just keep in mind that you want to do something, because unless people click on the volume control and turn it up…there is no volume and they won’t hear you. Typically intros and outros go for about 10 seconds, display the company logo or an animation and have some nice music. They are obviously great for branding. So why would you not want to do include a video intro or outro with FB video ads? When you are running a video ad, you can choose reach or video views as the way that Facebook is going to charge you. If you choose views, then they will charge you after someone watches the first 3 seconds. So if your first 3 – 5 seconds is an intro, you will pay for somebody watching your video even if they haven’t seen any of your content. Surprisingly, not using an outro is even more important…let’s look at why in our point number 3. Of course you will want to include a call-to-action (CTA) in your video. Once they have seen your content, they can simply click back to your website in order to learn more. The point here is that the call-to-action on a video ad is different than your typical Facebook ad button that we expect on most ad types. In the case of video ads, they will not see your CTA until the very end of the video. If you look at the numbers, the percentage of people that watch all the way to the end is fairly small anyway. If they get to the end and all of a sudden a title slide and music pops up, chances are they are going to feel the video is done and they leave before they ever get to your call to action. Keep the intro and outro in the videos you post on your website, but don’t get fancy in the video ads. Yes, you can create a video ad in the ad manager, no problem. However, adding a call-to-action is not available in the ad manager, you can only do that in Facebook’s power editor. In the Power Editor you can find a button that lets you add a call-to-action. Below this button, you can add the link where you want to take them to when they click. When you post an ad on Facebook, an image is not allowed to have more than 20% text in it. The same applies for videos. More specifically for the video thumbnail, the still image displayed before it starts playing. Facebook will give you some images from your video as thumbnails to choose from. Now depending on what kind of videos you do, the ones that Facebook suggests will not make for very good thumbnails. What you can do however is upload and select a custom image. That is how you can upload an image specifically designed to meet Facebook’s 20% text rule. That’s it for now, I hope you enjoyed this post and found it helpful! Why not check out our Sync2CRM software which syncs automagically your Infusionsoft and Facebook Ad data. Click here to try it free.